Is Your Home Truly “House Healthy”? 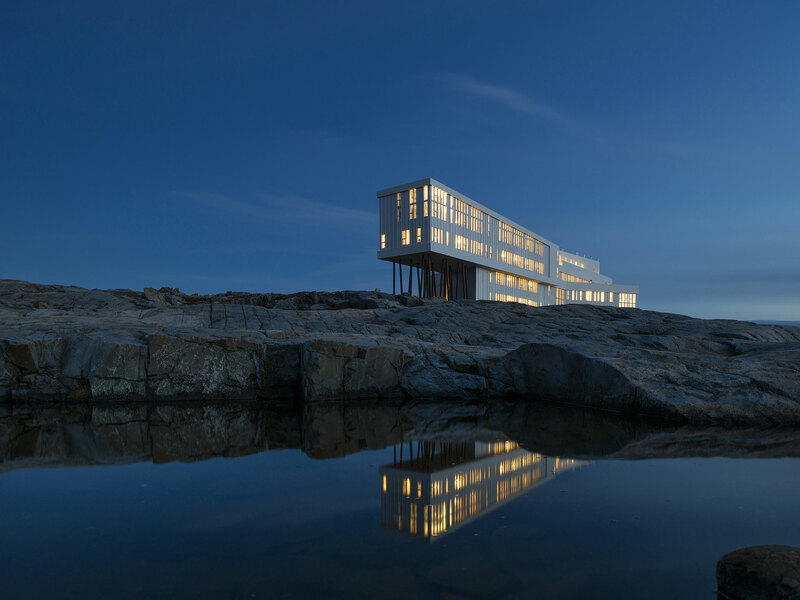 The Fogo Island Inn is cleverly located on the rocky shores of Fogo Island, in beautiful Newfoundland, Canada. 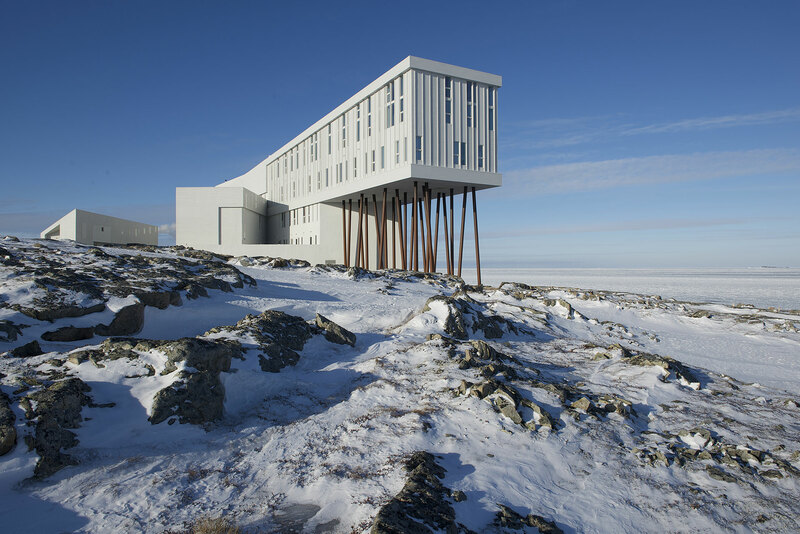 It sits like a jagged white gem that overlooks the rough ocean waters, a modern sculpture that somehow encompasses the age old culture which it was birthed from. Never has a structure such as this absorbed its vintage surroundings and enhanced them in a way which made them seem new again. 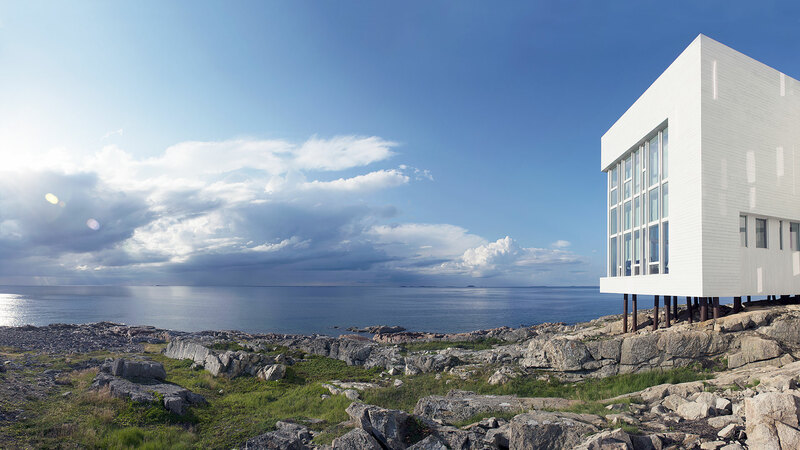 Saunders Architecture was tasked with the challenge of designing an ultra-modern inn that could withstand the sometimes tumultuous environment of the Atlantic shores while staying true to the quaint culture of the tiny island. And they delivered. 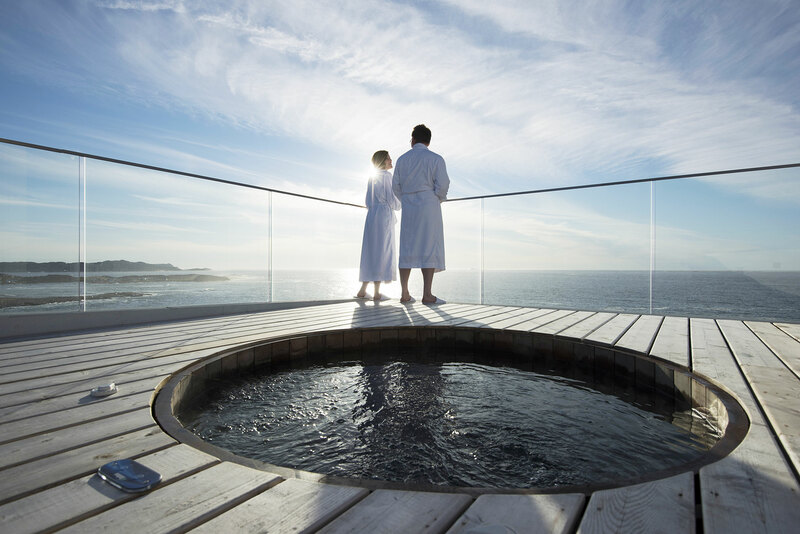 The 43,000sqft inn houses 29 suites which all share a similar décor of white painted boards and paneling, breathtaking floor to ceiling views of the ocean, and locally handmade quilts to adorn the beds. 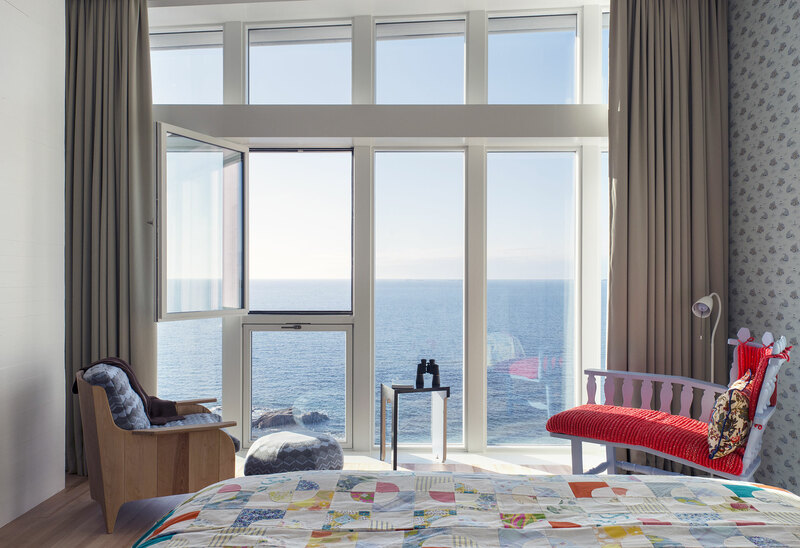 The top floor suites each have their own wood burning stove to add to the cozy nature of the space. On the main floor we find things like a lovely art gallery, a one room cinema, and a library. But the real star of the shared spaces is the dining room. 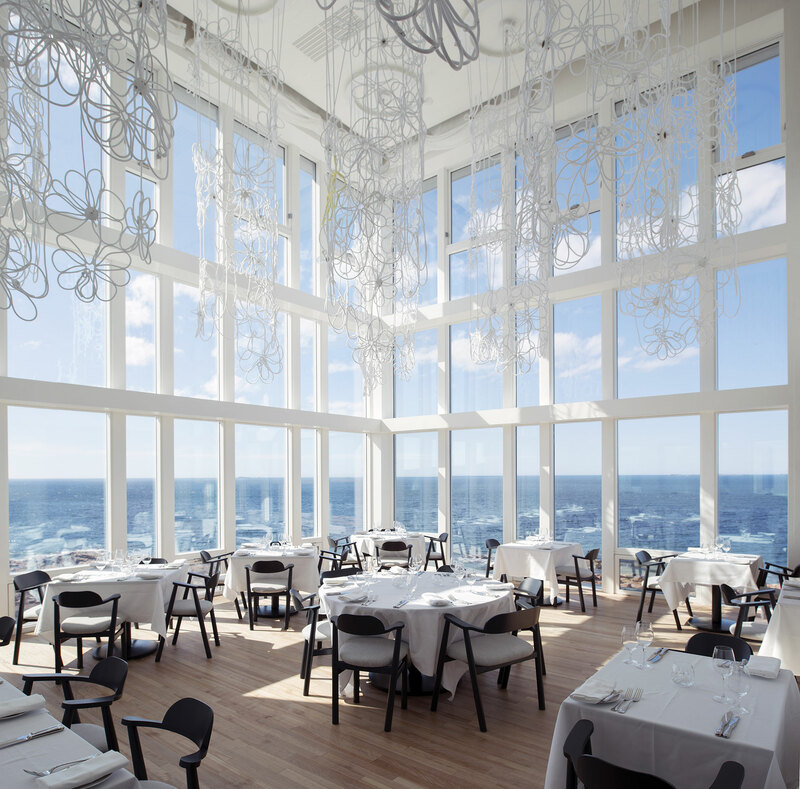 A completely open concept, the eating area of the inn showcases the surreal, uninterrupted view of the sea through the floor to ceiling windows. 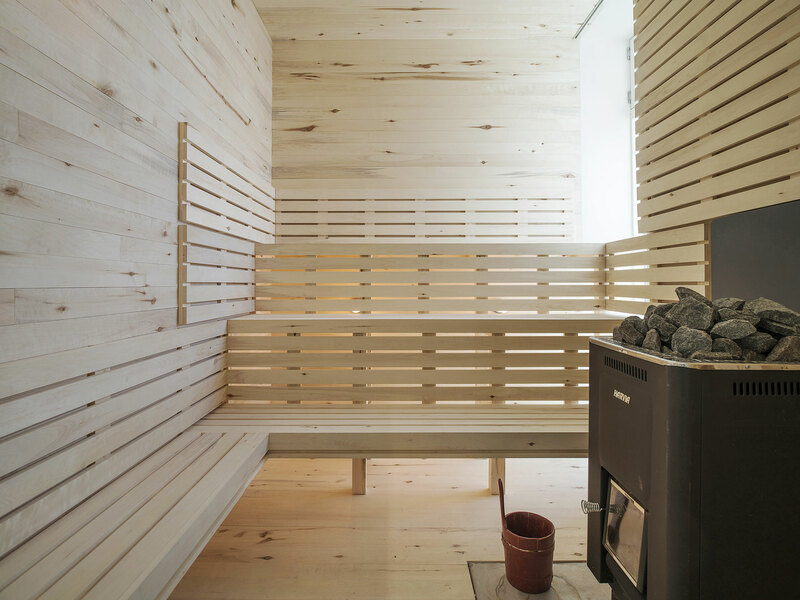 Aside from the dark stained chairs, the only thing to give relief to the crisp white atmosphere is the soft, natural wood floors beneath it all. Sitting there gives one the feeling of peace and tranquility, not what you’d come to expect from a dining room. 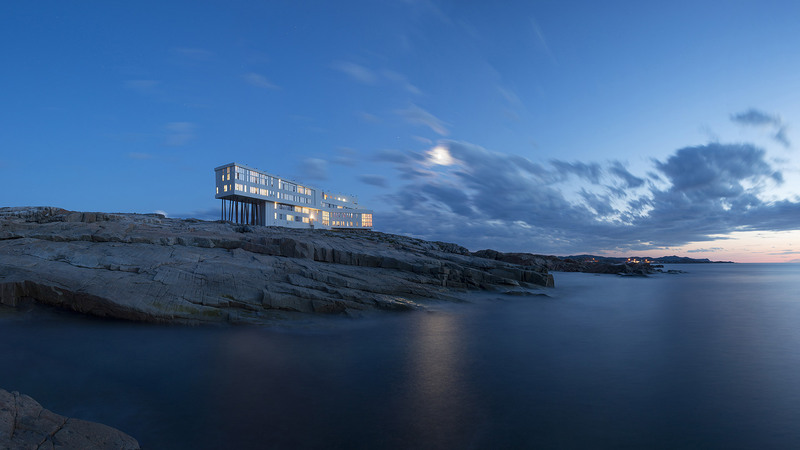 From the outside, and at first glance, the oddly shaped inn appears to be a futuristic structure washed ashore. But with a closer look you begin to break the architecture down and see where the details of the island’s culture were incorporated. 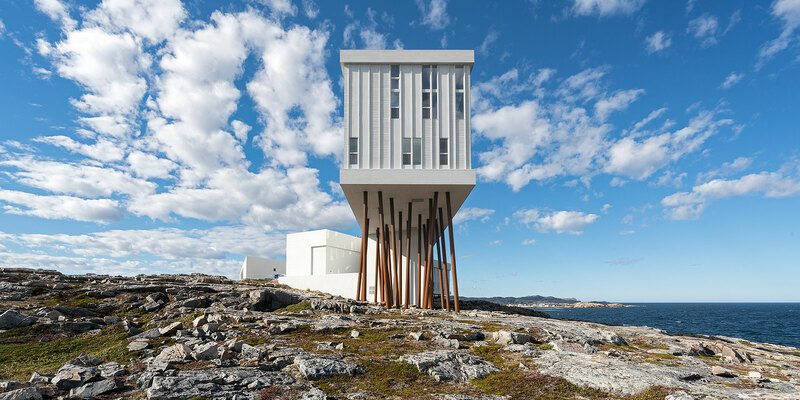 The use of solid beams or “stilts” to prop the building up on the rocks is an ode to the way Fogo Islanders built their structures to fit with the uneven footing the rocks provided. 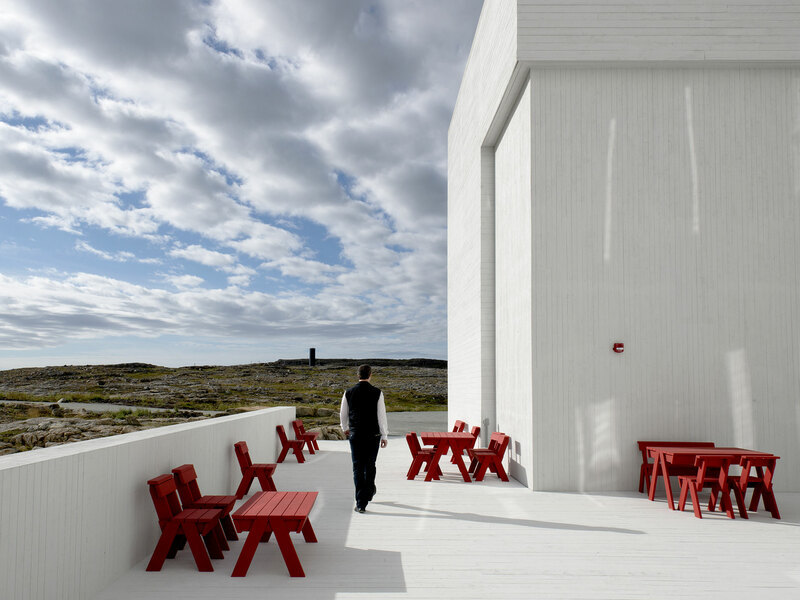 The Inn is a one of a kind experience that only Fogo Island could provide and is sure to awe its guests for years to come.